You are at:Home»Activities & Entertainment»Which Cruise Ships Have Bowling Alleys? 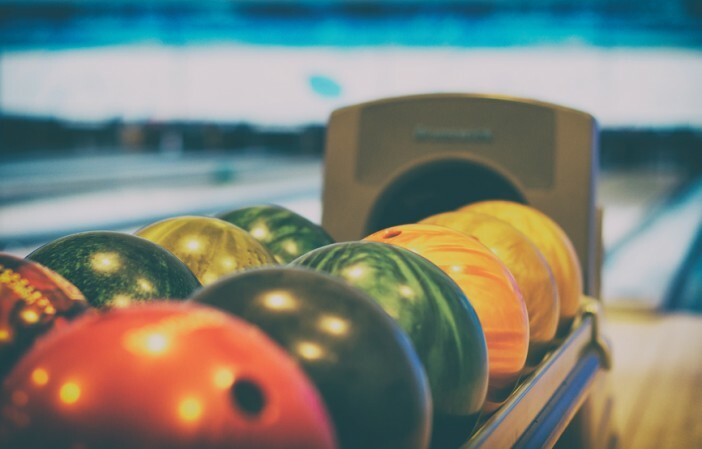 You’re not going to just strike lucky if you were hoping for a couple of games of ten pin on your holiday, because bowling alleys are a surprisingly new addition on board cruise ships. Since the classic French Line ship SS Ile de France launched in 1926, which featured a sumptuous on board bowling alley, there have been very few ships that offer the chance to play the iconic game. In 2006, however, Norwegian Cruise Line changed things for the better, adding a bowling alley to the modern cruise for the first time since the Ile de France entertained the height of society. The bowling lanes are 12 inches shorter than regulation, making them perfect for fun games where you can hit the pins before your ball veers off into the gutter. If you’re after top quality family fun, a nostalgic date night, or a competition against friends, choose one of the amazing cruise ships that let you bowl with the times. The first modern cruise ship to offer ten pin bowling to its excited guests, the Norwegian Pearl offers the full bowling experience with almost full-size lanes and iconic bowling shoes. Situated in the amazing Bliss Ultra Lounge, whose glowing, multi-coloured walls add the sense of fun that fills the bar, the bowling lanes can be enjoyed along with a range of stylish beverages. Perfect for meeting new people and enjoying time with friends, the Bliss Ultra Lounge combines the fun of bowling with a vibrant bar atmosphere. It also turns into a night club later on, so if you fancy rolling your hips as well as rolling the ball, you can party until the early hours. Pioneering modern cruise ship bowling proved so popular for the Norwegian Pearl that the cruise line chose to also add one to their 2007 ship, the Norwegian Gem. Situated in one of the stylish bars, the bowling alley adds extra fun to a night out with friends or family. The plush interior of the bar, numerous velour lounge chairs, and glistening décor add a feeling of decadence to the pleasure of ten pin bowling. With a range of exquisite cocktails and attentive, first rate service, you might be tempted to see if a little alcohol improves your technique. High voltage tunes, stunning décor and decadent lounging areas accompany the bowling alleys on the 2010 Norwegian Epic cruise ship. A stunning combination of glimmering bubbles, vibrant lighting, and breath-taking ultraviolet artwork envelope you as you sip heavenly cocktails and challenge your friends to strike lucky with a lucky strike. Also equipped with plasma TVs, you don’t even need to miss the match to enjoy relaxing and competing at the Norwegian Epic bowling alley. If you think sailing across the ocean whilst challenging your friends and family to beat your record score sounds like the trip for you, book a cruise with one of these unique Norwegian Cruise Line ships. Browse our homepage for more details, before booking online or calling our expert sales team on 1300 857 345.